Been looking for one of these for a couple of years . . . since July 2017, to be precise. Finally landed this one!! 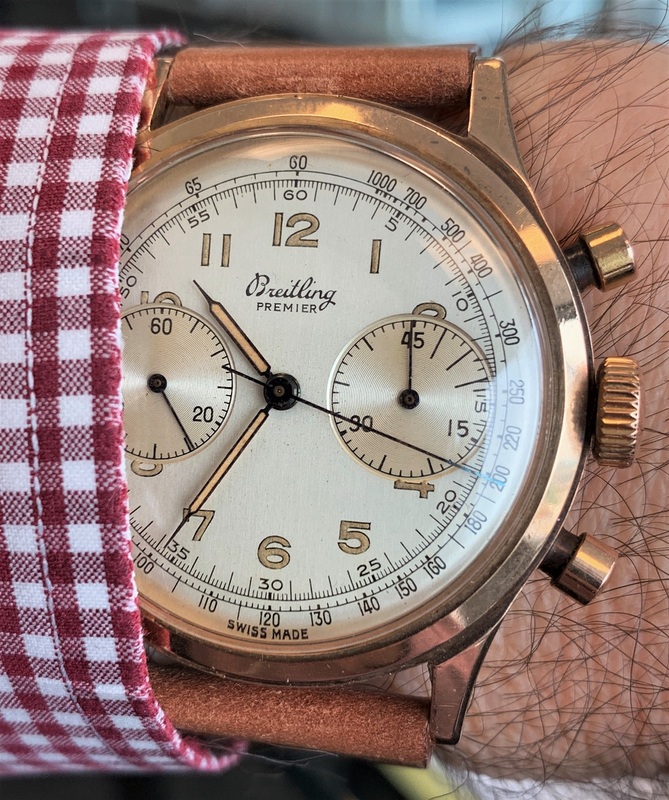 Breitling Premier 777 in rose gold; 630xxx serial number points to 1945. Wishing everyone a great weekend of the watches you enjoy the most . . . Heuer or Breitling / vintage or modern / stainless steel or gold! !